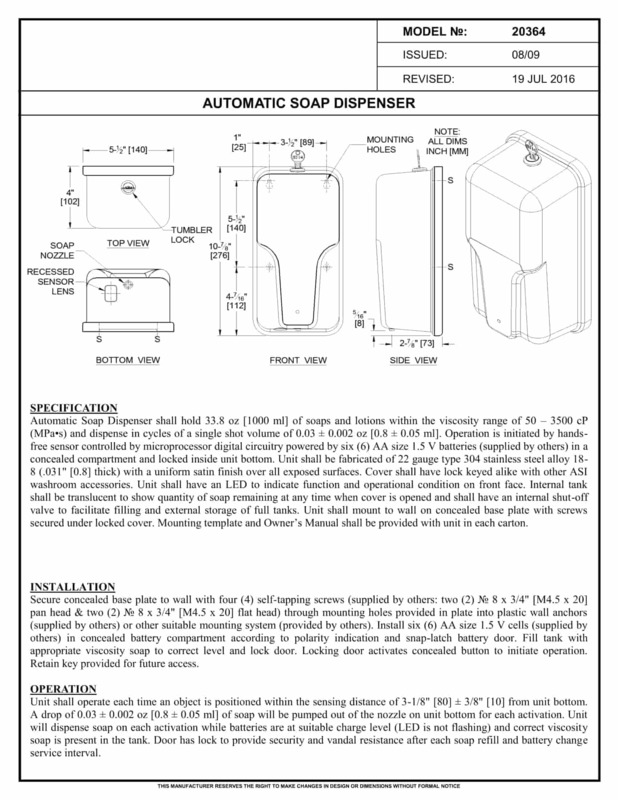 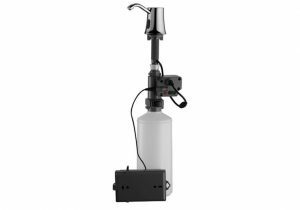 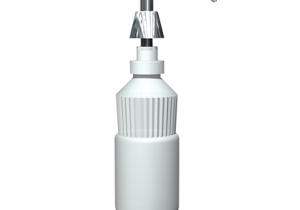 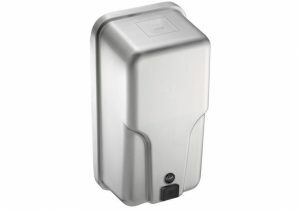 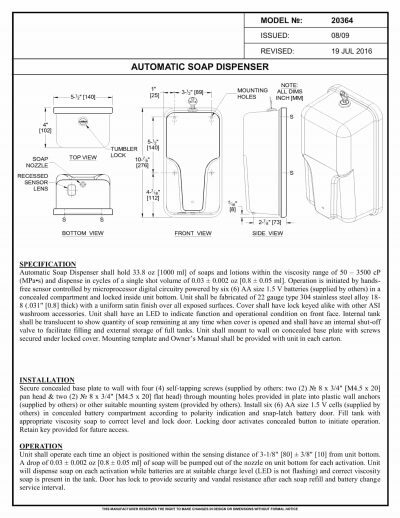 Automatic Soap Dispenser shall hold 33.8 oz [1000 ml] of soaps and lotions within the viscosity range of 50 – 3500 cP (MPa•s) and dispense in cycles of a single shot volume of 0.03 ± 0.002 oz [0.8 ± 0.05 ml]. 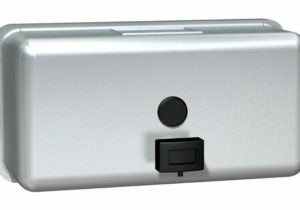 Operation is initiated by hands-free sensor controlled by microprocessor digital circuitry powered by six (6) AA size 1.5 V batteries (supplied by others) in a concealed compartment and locked inside unit bottom. 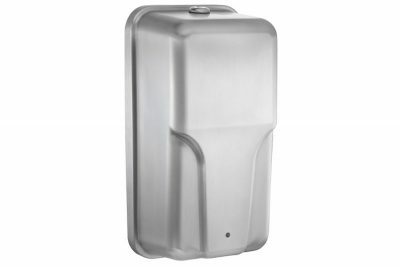 Unit shall be fabricated of 22 gauge type 304 stainless steel alloy 18-8 (.031″ [0.8] thick) with a uniform satin finish over all exposed surfaces. 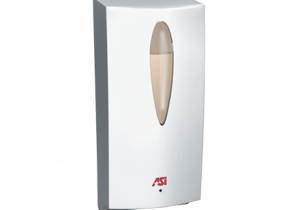 Cover shall have lock keyed alike with other ASI washroom accessories. 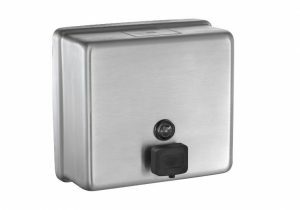 Unit shall have an LED to indicate function and operational condition on front face. 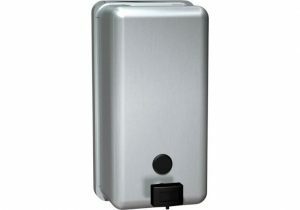 Internal tank shall be translucent to show quantity of soap remaining at any time when cover is opened and shall have an internal shut-off valve to facilitate filling and external storage of full tanks. 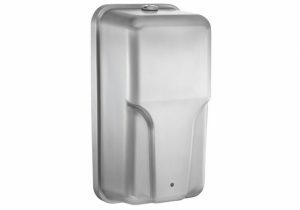 Unit shall mount to wall on concealed base plate with screws secured under locked cover. 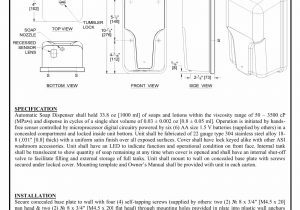 Mounting template and Owner’s Manual shall be provided with unit in each carton.